The ASCCG is made up of a wide variety of individuals. Full and part-time coppice workers; conservation coppicers; volunteers and professionals; walkers through woodlands; workers in hazel, chestnut, oak, ash and other species; people who like cooking potatoes in fires – and probably many, many more. You can join us in one of two ways. To become a full member you will need to pay a £10 annual subscription. This can be done either by electronic transfer (contact info@asccg.co.uk for bank details) or by paying one of the Steering Group directly. In either case, please ensure that you also notify our Secretary by email (info@asccg.co.uk) of your transaction. Groups of three persons or more may join ASCCG for £7.50 per person. Membership of the ASCCG entitles you to a number of benefits. You can gain discounted insurance cover through the NCFed insurance scheme (go to www.ncfed.org.uk/insurance-scheme/ for details of this). You will be eligible for any discounts on seminars, talks, meetings etc offered to NCFed affiliated members. You will be able to attend the majority of ASCCG events for free and get a discount if attending our AGM. 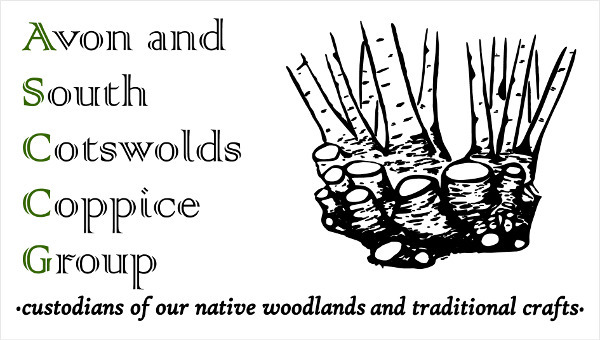 And, of course, you will be contributing to the promotion of coppicing in our area – and having fun at the same time! You could also become a ‘follower’ and receive news of coppice matters locally and nationally as well as details of all our socials, work-parties and skill-share events. Just get in touch with our Secretary on info@asccg.co.uk to get put on our mailing list. You may be asked to make a small contribution to ASCCG funds if you attend any of our events.